We stopped at a country hardware/garden center in Hillsdale, NY, while driving home after a week of music in the Berkshires; and spotted a bowl of eggs with a hand-scribbled sign that read “Eggs $.35 each, $4.00 a dozen. They had been dropped off earlier that morning by a local woman with fresh eggs to spare. 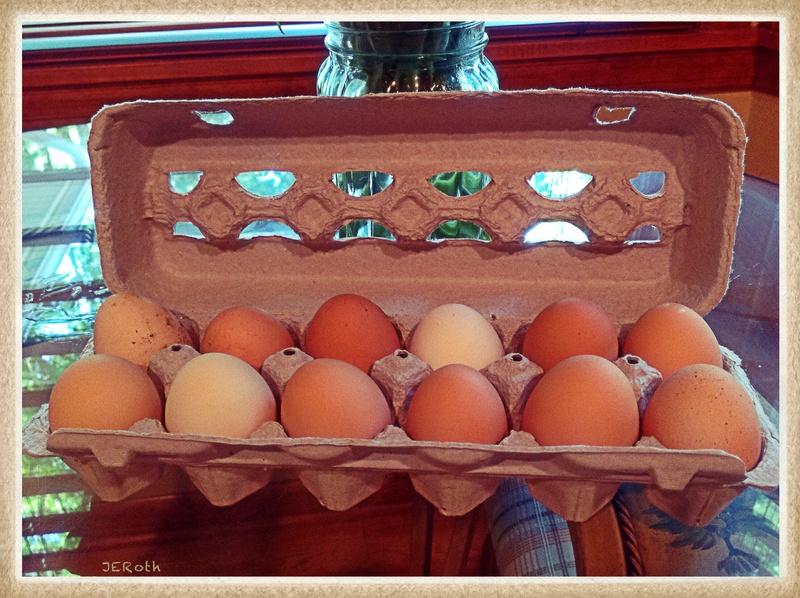 We couldn’t resist the perfectly, imperfect, recently-laid eggs, and the anticipation of a fluffy scrambled eggs breakfast at home, so of course, we purchased a dozen (leaving a solitary egg in the basket). In this photograph, egg shells, perfect containers to the eggs within, are nestled softly and securely in the rustic, cardboard, egg carton!